All gako unguator jars operate on the patented “piston-principle” design, which serves unique functions prior, during, and after the mixing process. The gako unguator system is unique in that all ingredients can be weighed into the mixing jar at the same time. The closed environment achieved in the container eliminates the problems of air intake and contaminations associated with traditional preparations. 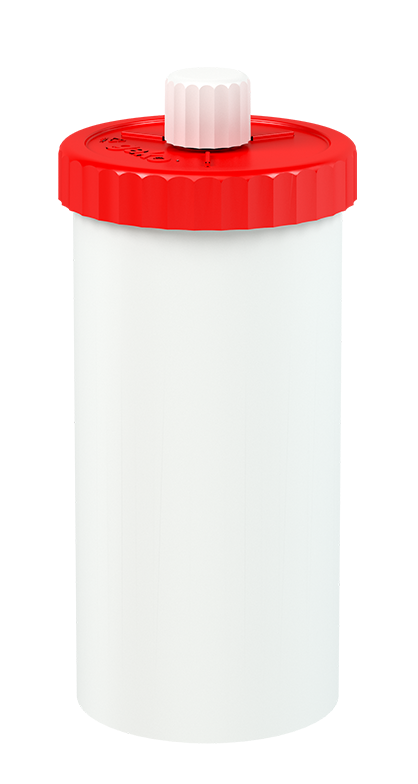 The gako unguator jars are made from a durable polypropylene/polyethylene plastic and can be heated in a hot water bath or microwave oven.